Management Education is always spoken in the same breath with personality development. 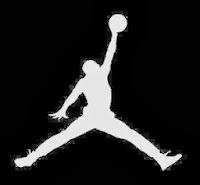 And what better way one could find out other than sports. DoMS, IIT Roorkee being a premier business school of the country, always plays a proactive role in this regard. Recently it conducted Exuberance 2013. 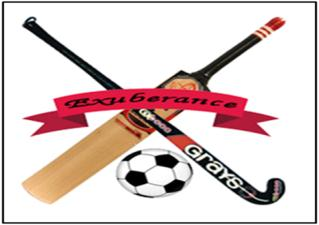 Exuberance is the annual sports meet of DoMS, IIT Roorkee in which MBA students from first and second years play against each other. It is basically a test of nerves, talent, confidence and ability to stand the pressure. The benefits are manifold. Not only it imparts basic management skills like teamwork and perseverance, it also serves as an ice breaker between the two batches. The fun element and a relief from the hectic schedule is always an add-on. Needless to say, it is one of the most sought after and awaited events of the department. This year the Exuberance was conducted between 22nd to 26th of August 2013. There were a number of games conducted in which students wholeheartedly participated. 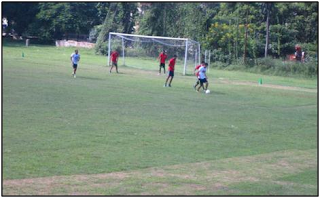 A number of games were played where students from both batches competed against each other. The games that were played included Football, Table Tennis, Chess, Carrom, Pool, Snooker, Squash, Badminton, Basket Ball, Volleyball, Cricket and Lawn Tennis. It was a neck-to-neck fight between the two batches. The excellent sports facilities at IIT Roorkee were utilized for the same. The event was inaugurated by Prof. Sushil, DoFA, IIT Delhi on 22nd August 2013. Other dignitaries who graced the occasion were Dr. Santosh Rangnekar, Dr. Zillur Rahman, Dr. Vinay Sharma, Dr. Rajat Agrawal and Dr. A. Ramesh. The event was conducted and facilitated by SportsCom, the sports club of DoMS, IIT Roorkee. Dr. Rangnekar, HoD introduced the honoured guest about the department and event. A candlelight ceremony also took place. This marked the official opening of the events and stage was set for the various breath taking matches. The next few days were as hectic yet as entertaining as they could be. Students from first and second year battled with each other for the winning trophy. Both teams were equally competent and it was a close fight with each other. It was next to impossible to predict about anything. For example, the first year proved their mettle in games like basket ball and football whereas second year came out as victorious in volleyball and badminton. The fight was so intense that people were not sure of the result even before last few hours of closing. The first years were leading in the game till last few hours. Sports meets are famous for turnarounds and this year we witnessed one such occasion. In the last few hours, second year put all their energies and won carom, chess and table tennis. This dramatic performance by second years have turned the tide and finally placed the trophy in their basket. However first years fought valiantly and it was well recognized and appreciated. The basic purpose of any sports event is to spread the happiness and bonding and the Exuberance achieved this in totality. 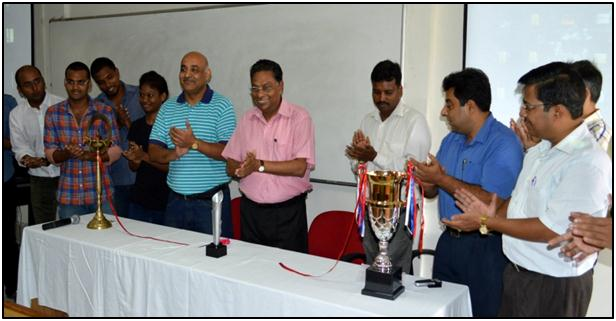 A brief closing ceremony was organized on 27th August 2013 to award the trophy and thanking everyone for their support and cooperation. Exuberance may have been over but the memories will always remain fresh in our heart.